I am the most rubbish cook in history! You wouldn't believe that I have been a parent for over 25 years and I still cannot cook. The only time that I cook from scratch is when I take cooking lessons so we tend to eat the same foods all the time. We were asked to give Santa Maria Latin American Kitchen a go and review it for the blog. When the packets arrived, my heart sank a little bit as some of it was spicy and as Tilly keeps reminding me she was born with a label that said 'Do not give this baby spicy food'. 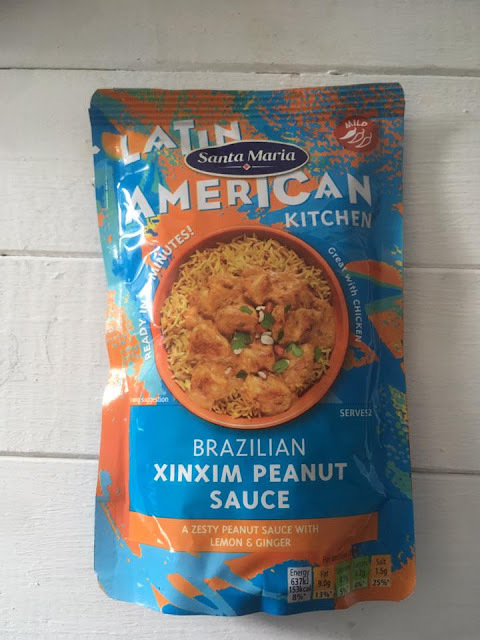 But I am a believer in introducing kids to new foods all the time and for her meal, I chose Brazilian Xinxim Peanut Sauce, This sauce only had one chilli on the 'chilli scale' out of three so I hoped this would be okay for her. I made the recipe with diced chicken and browned the chicken off before adding the sauce. As it cooked away on a medium heat you could smell the sauce and chicken coming together. The sauce has lemon and ginger in it, but you can barely taste the ginger and it really isn't too spicy at all. The sauce comes with chunks in it, which makes it more filling and adds more flavour although I added peas to it because I thought that if I was going to try and get Tilly to eat this, then I would disguise some veg in there too. I partnered the Ximxim peanut sauce with Coconut and Chilli Rice, I knew I was pushing my luck with the spicy rice too but with the coconut in there, I figured it would be cooling for her too. To go with this dish I also used Argentinian Barbacoa Beef Steak Rub. This has two chillies on the chilli scale out of three but as I was giving Tilly spicy food, I thought I would go the whole way. 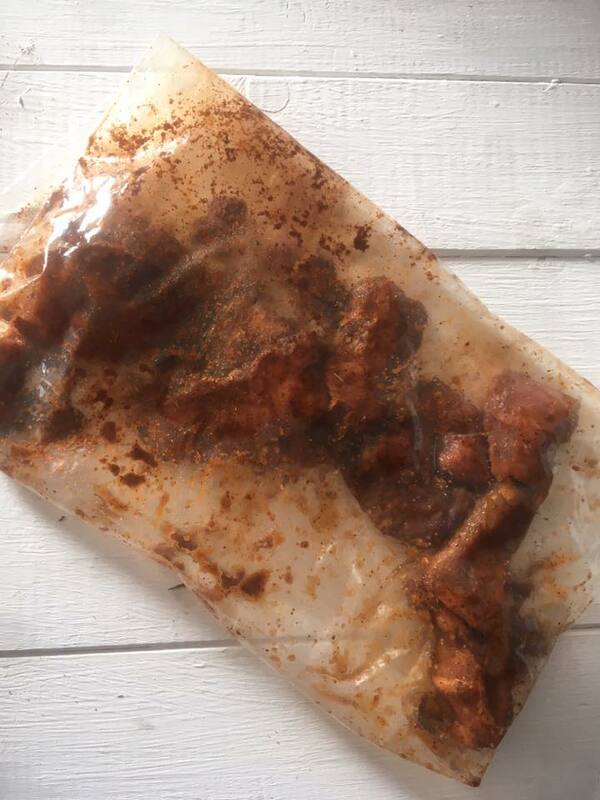 This rub is for steaks of beef, but you can use diced steak like I did and put the rub into a bag with the steak and shake it to cover it all. Then I fried it in a frying pan, but it did burn slightly as I cooked it, so next time I would partially cook the beef before I add the rub or use more olive oil as I fry it. It worked well the way that I did it and would use a bag to shake the rub over the beef again because it gave a good coverage. Tilly LOVED this, The food wasn't as spicy as we had expected and I didn't tell her it was a spicy dinner. I did make sure she had a glass of water, but she actually asked for more. For a child that doesn't eat spicy food, I feel that we have overcome a milestone. Maybe it is because this was a slightly sweet spicy meal, but it really went down a treat. 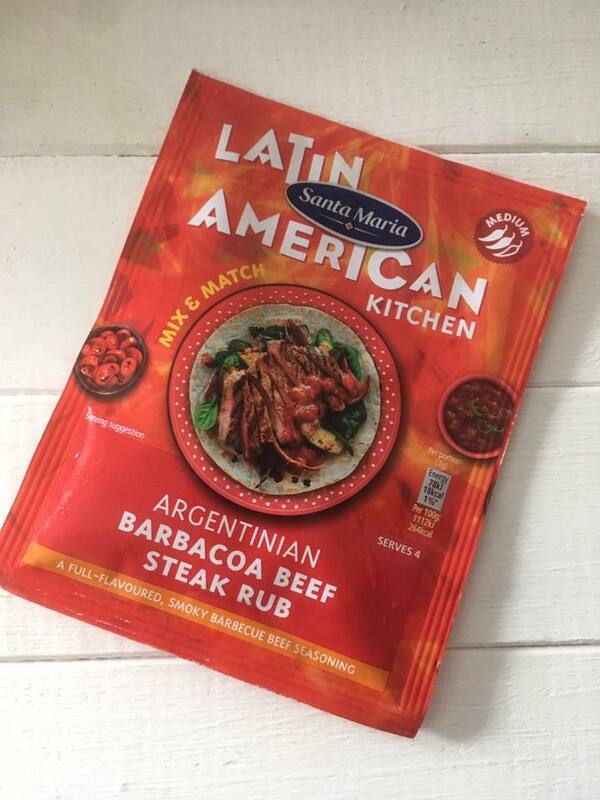 The mix and match aspect of the sachets means that you can have a different meal every time you want to eat from the Latin American range. I didn't think she would eat the beef because it was slightly burned, but she ate that too and enjoyed the smoky BBQ flavour, despite not liking that flavouring before. 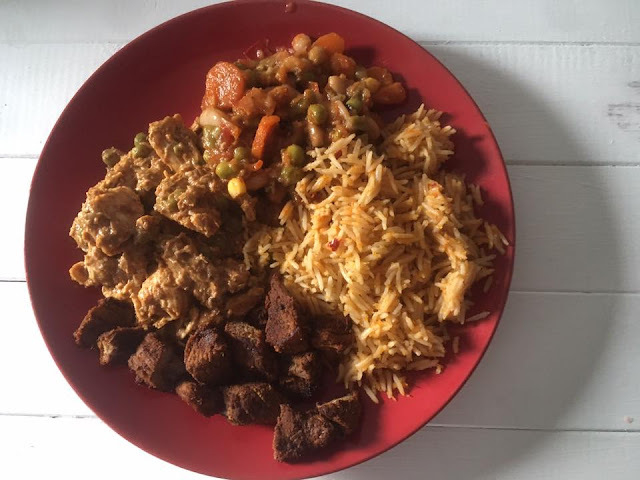 She would quite happily eat this food again because we didn't find it as spicy as Mexican food that I have given her in the past and you can put a meal together in minutes. The rice takes 2 minutes in the microwave and the sauce takes a few minutes to heat up. You could use the sauce without meat and it would still make a good meal with the rice. The sachets are suitable for vegetarians and they are gluten free, so they are suitable for a wide range of people following different diets. 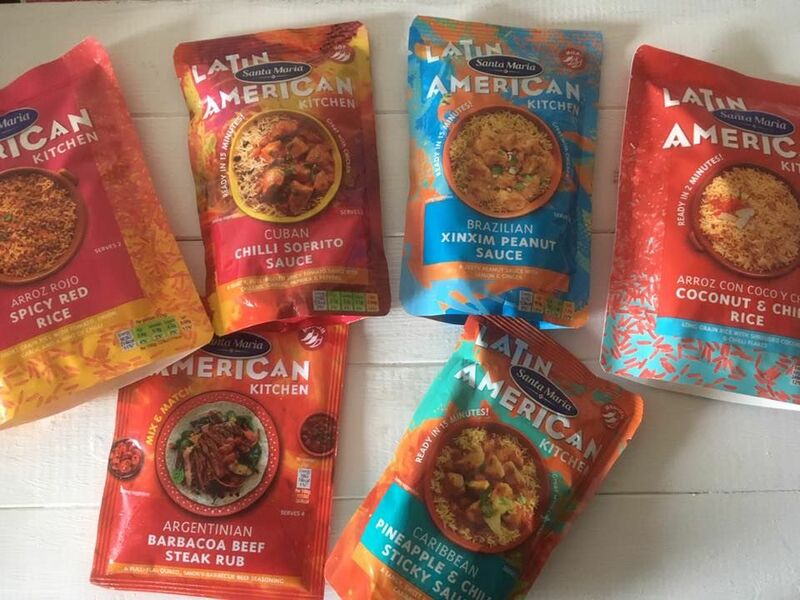 The range is available from Morrisons and the Ximxim Peanut Sauce is currently £1.64, the Coconut and Chilli Rice is £1.64 and the Argentinian Barbacoa Beef Steak Rub is on special offer for 50p. So it makes a budget but filling meal and what we had you could easily feed 3 adults with it.